House of Fun proudly presents a new, amazing, realistic casino 3D slot machine that will electrify high rollers and beginner players alike. We invite you all to get the real thrill of Las Vegas directly from your phone, anytime, anywhere. Christmas is about magic, fun and giving, so join House of Fun and find yourself showered with gifts, coins and jackpots this Christmas while playing the jolliest slots reels online. Hot at HOF: Unique Double Rapid Fire Jackpots. Let There Be Fire and Ice on the Reels! Are your slots reels running hotter or colder? Join us to learn about the unique slots story of Fire and Ice, a tale of double Rapid Fire Jackpots and Bonus Wheels and gold coin winnings like you’ve never seen. Temperatures are rising with hot coin prizes, progressives and free spins. Slots superheroes, hear the thunder call! Ladies and gents, a new slot machine brings good old classic fun back to the House through one of the golden Vegas casino slots themes you already love! Big Wins are blooming at House of Fun! Grab some free coins and play our fresh new slot game Heidi of Holland. 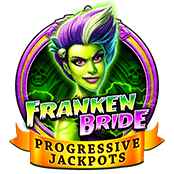 There are free spins to make and surprise winnings to collect, while the big cheerful smiles and serene blue eyes will accompany you through the blossoming fields all the way to a mighty progressive jackpot. Are You Up for the Trials of Troy? Spin and Win!